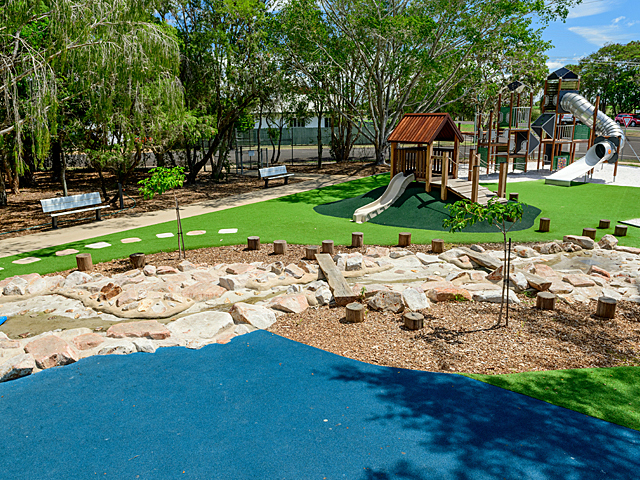 Showcasing the Australian grown timbers utilised in Moduplay’s Bushwood play structures, the new playground at Lessing Park in Hornsby is an exciting playspace for kids that helps them to explore the wonders of nature through play. 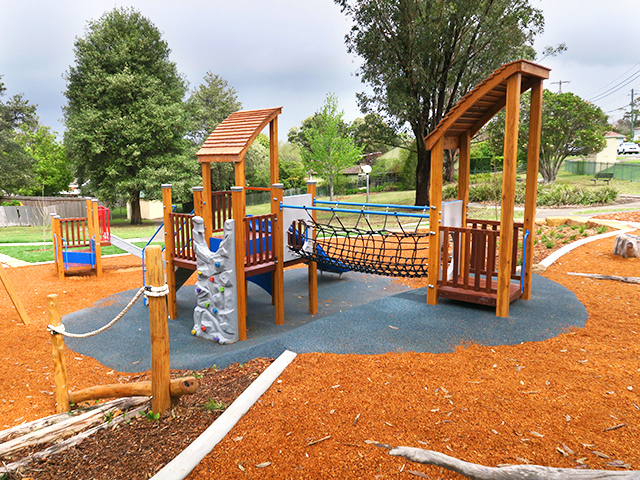 The stunning array of equipment at Lessing Park showcases the sustainably sourced and Australian grown timbers that Moduplay use to build their Bushwood and Premium timber product ranges. 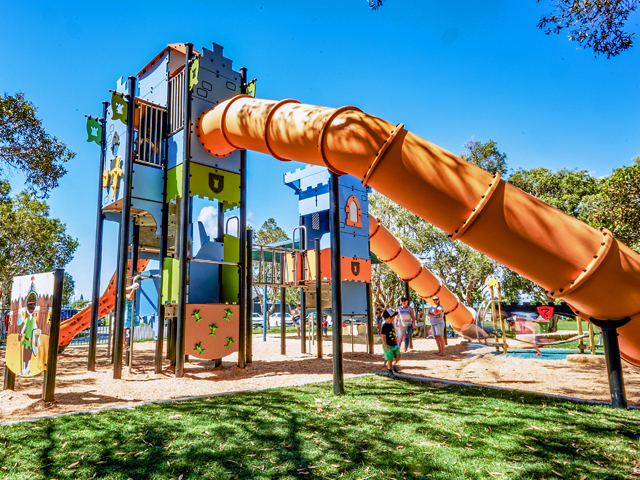 The importance of using Australian timber is becoming clearer for councils and playground developers around Australia, as many imported timber playgrounds show they cannot withstand the harsh climate conditions. 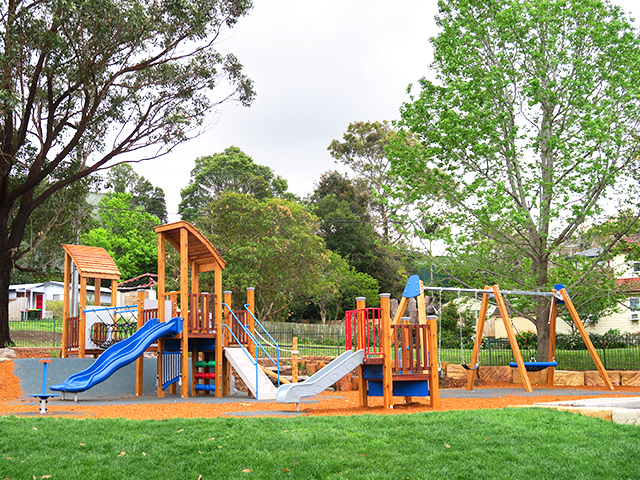 Every piece is built by hand in the joinery workshop by the inhouse craftsmen, who take care to ensure strict compliance with Australia’s stringent safety and quality standards. 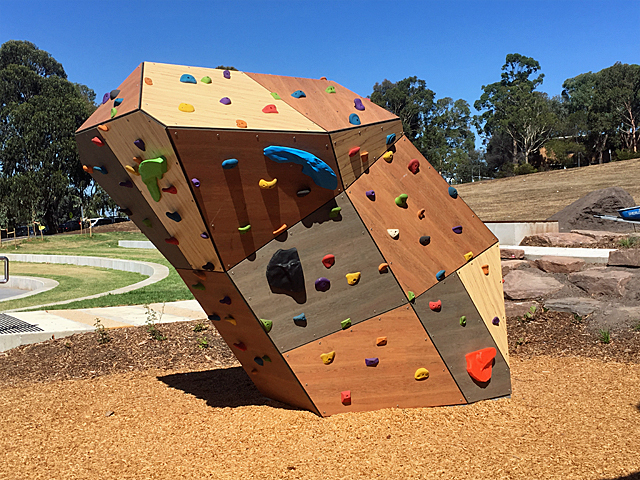 Every piece of timber is hand-picked for unique characteristics and nuances that will enhance the final product and create an original piece of equipment. 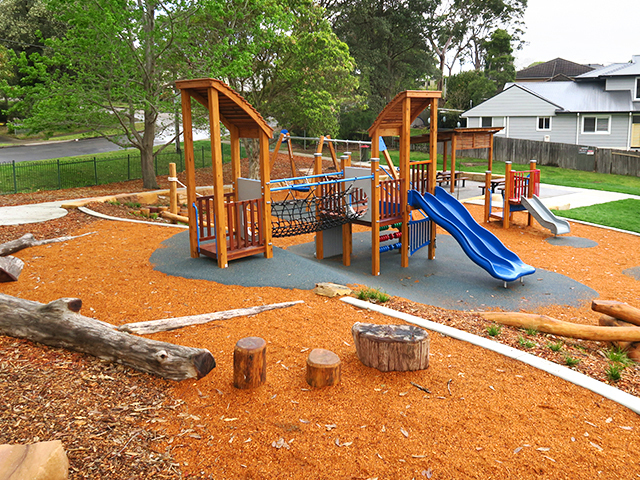 Moduplay’s timber playground builders use their creativity to ensure the best outcome with every timber and Bushwood product range. 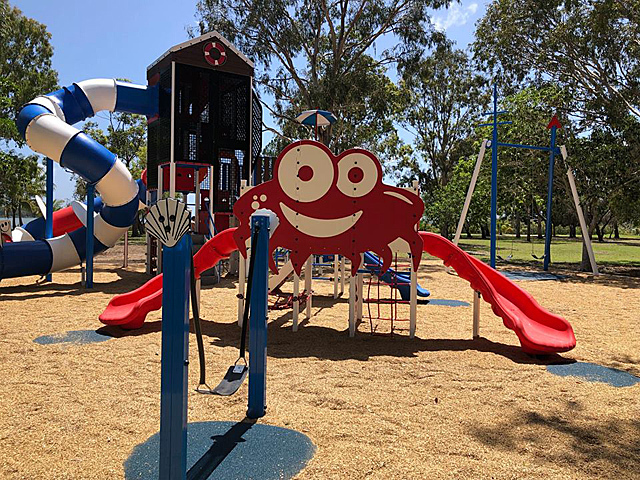 The play area at Lessing Park has something for all ages, with a beautiful play structure for older children and a smaller play area for toddlers. 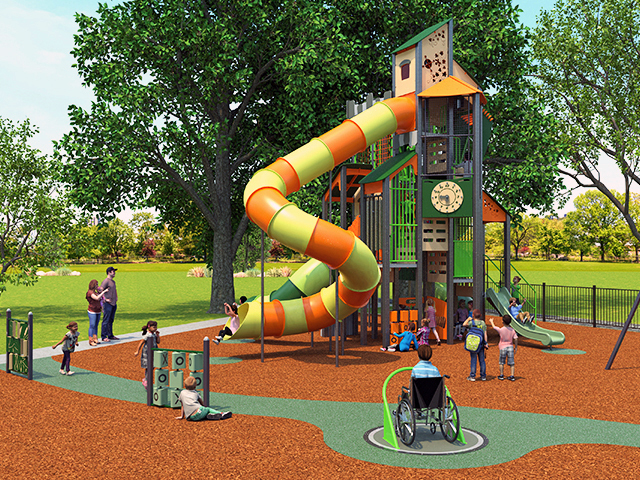 A Nest Swing combo is also part of the mix. 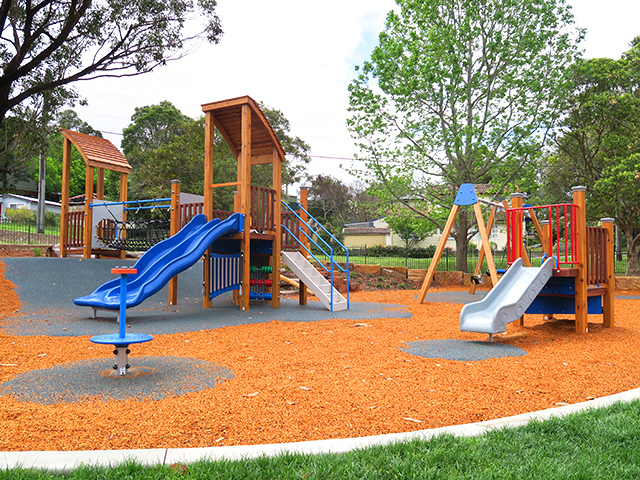 Nearby shelters and table settings make the park a pleasant place for families to relax and enjoy. 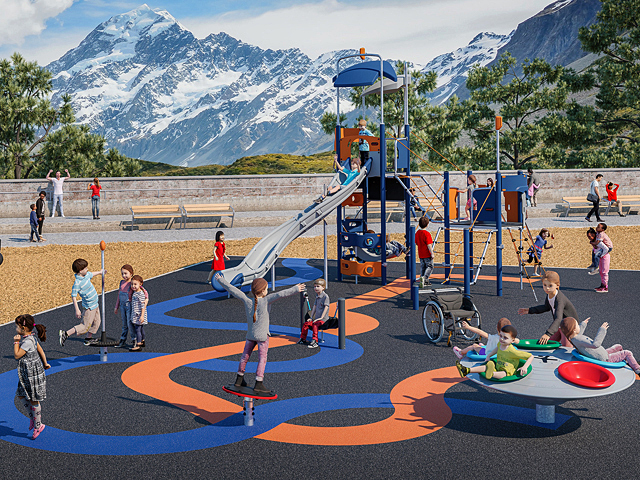 Contact Moduplay for more information or to arrange a consultation with one of their Playground Design Consultants.